In what has been dubbed Mobigeddon by the online press, next week on Tuesday 21st April, Google’s search algorithm will officially update to give responsively designed mobile-friendly websites higher rankings in SERPs. The move has of course been inevitable. As anyone who is even remotely involved in any aspect of the internet game well knows (and to be honest most of the rest of the world are equally aware), Google prides itself on being the number one organiser of relevant information on the internet – and we have increasingly seen over the last few years that what is becoming the most relevant device for accessing the internet is the mobile phone. Take a look at these images provided by Smart Insights. This is the big picture, as it were. 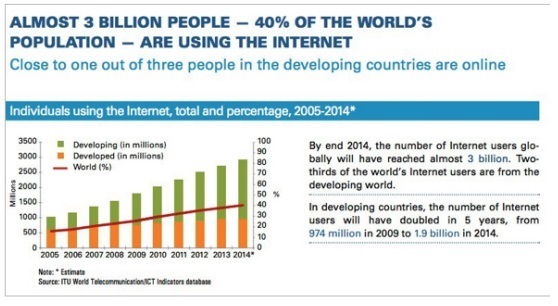 Not just internet usage in the West, but over the whole globe. The web has an incredible reach. But it’s the next set of statistics – that Smart Insights have taken from the globalwebindex.net – that are the ones that Google have obviously been watching, which means that if you’ve got a website, then you should be watching them too. 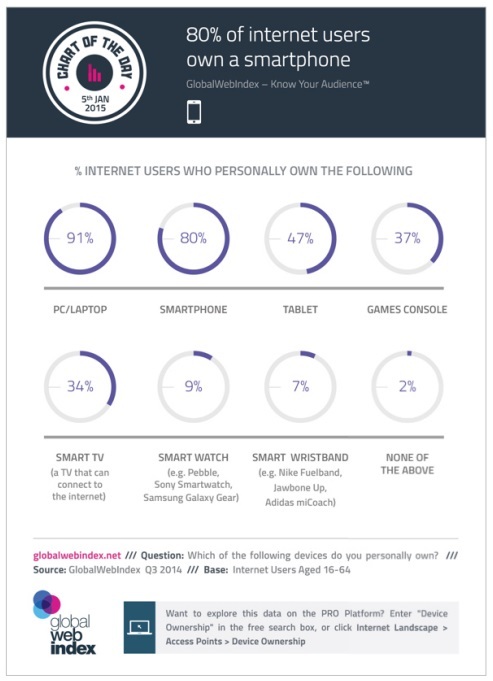 The main figure to pay attention to here is of course the one that states that 80% of internet users personally own a smartphone. Certainly it will happen by 2016, and no doubt in 2017 and beyond smartphone devices will have completely overtaken. The fact is that smartphones are just so incredibly powerful these days, and internet access on your mobile browser can even sometimes be quicker than your PC. And so it’s no wonder that so many more of us than ever before are accessing the web via our phones – and Google are responding. Their recent lawsuit notwithstanding, Google have always prided themselves on their (self-fulfilling prophetical) mission to be the commanders of relevant search on the internet. And, like it or not, that’s exactly what they are. The whole SEO game is based around Google’s unshakeable rules. For years and years now, the brains behind Google have always had one main mission in mind – how can we make our search engine even smarter? According to Moz.com, Google changes its search algorithm between 500 and 600 times a year. We’ve had Pandas and Pigeons and Pirates and Penguins – these are the major updates that make the news, but most of the alterations are actually quite minor. What’s happening next week, however, most certainly falls into the “major update” category, and, quite frankly, it will be changing the online world. So, it comes straight from the horse’s mouth – mobile-friendly websites will soon officially be used as a ranking signal. That means that if your site is not optimized for the mobile screen, then, come April 21st, it will be penalized in Google’s search rankings. Of course, many sites out there are already optimized for the mobile screen. It’s obviously been good practice for a while, but now it’s imperative. Importantly, it doesn’t matter if your analytics are telling you that only a very tiny percentage of traffic is coming from mobile devices – you still have to amend your site. Google is not particular about browsers either. So, whether people are Googling your services on desktop or via a mobile browser, your site will be ranked where it’s ranked, so don’t start thinking that your page will only slip down SERPs on mobile browsers, because that just simply isn’t the case. So, the first thing that you need to do is check to see if you’re currently running a mobile-friendly site. Handily, Google have provided you with two things to help you do this. The first an online guide to mobile-friendly sites. And the second is the Mobile Friendly Test. To use it, simply copy and paste your site’s URL into the search field and hit ANALYZE. You will then be given a score as to how mobile-friendly your website is. 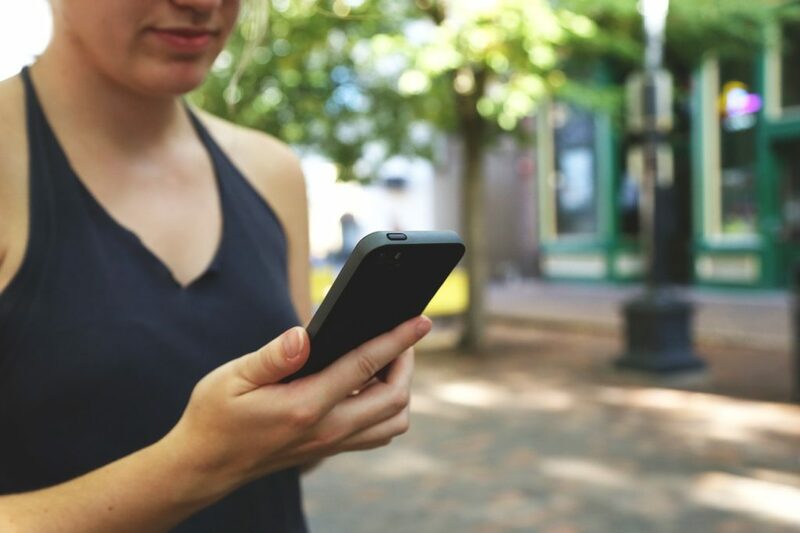 If your site ranks anything other than Awesome!, then head back to the online guide to mobile-friendly sites to see what to do to update your site so that it is optimized for mobile. There is no choice in this matter – Google are saying that “Mobile is the future”, so guess what? Mobile is the future. 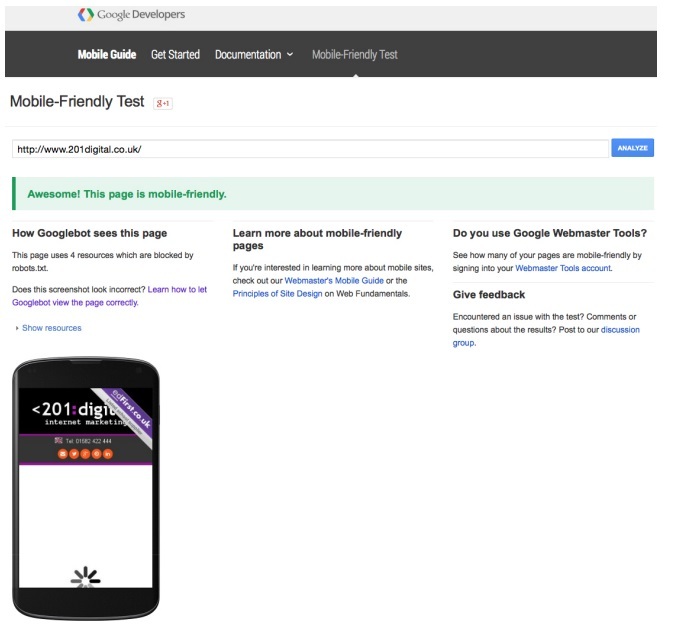 How did your site fare on Google’s mobile-friendly test? Are you ready for Mobigeddon? Let us know in the comments below.